Lefse is like pierogi or halupki or dolmades. People love them, but few want to make them, because making them is time intensive and messy. But if you’re one of the few who make them and you make them right, you become a food legend…a title that’s both a blessing and a curse. I was born into a family of stoic Minnesota Norwegian Lutherans who don’t like touchy feely, and will reply “Fine!” every time someone asks, “How are you?” even if they’ve just been run over by a Mack truck. We’re often a vapid lot. Independent, but not sure how to ask for what we need or even know what we need half the time. But mention lefse and every last one of us (with the exception of my mom and my daughter, Carlene, who may have been switched at birth) will bear our souls, tell you our deepest darkest secrets, whatever it takes to secure a round of lefse that we don’t have to share with anyone. Seriously, I’ve known people to butter and sugar a round and wander into a corner to eat it in peace. You do NOT ask a lefse lover, “Can I try a bite?” Or if you do and they share, marry that person immediately. Sharing lefse is the epitome of selflessness. My grandmother, Katinka, made lefse every year, and so did a few of my aunts. 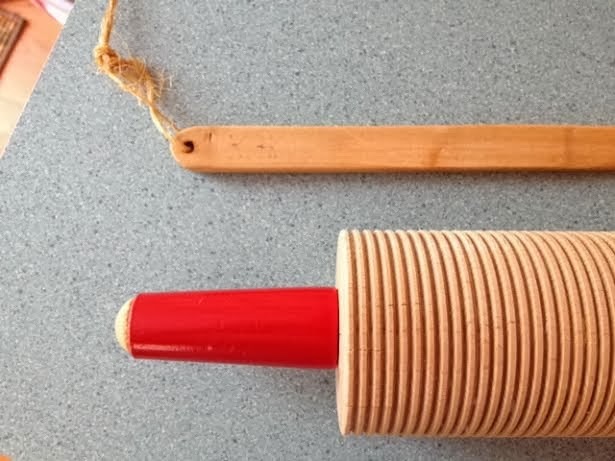 Before Katinka passed away in 1994 at the age of 96, she gave me her lefse stick and her lefse rolling pin, but it would be another nine years before I used them. My mom, as I mentioned, has a lukewarm like of lefse, so making it was never on her to-do list during the holidays. She makes killer date nut squares and Russian tea cakes, but alas, no lefse. We relied on my grandma and my aunts to supply us with our fix, and when we moved away from home, we sought out grocery store lefse and online suppliers. Most of that stuff is so cardboardy awful I finally broke down and learned the mystery of making lefse myself…time intensity and mess and all. I am the lefse legend of my family, which comes with the curse of consistency. I must make it every year and make it well, and for the last 10 years, I made it well enough. Then this year’s batch happened, and everything I believed about my lefse for 10 years flew out the door. I finally nailed it. I finally made Grandma Katinka’s lefse. And I did it without trying to. I had planned to make lefse in my own kitchen earlier this week, but snow was in the forecast (how much, who knew?). I needed to be in Indiana (Pennsylvania, not the state) for Wednesday evening plans, so as to not tempt the fate that is a western PA snowstorm, I loaded my lefse accoutrement into the back of the Jeep and headed to the Irishman’s. There I peeled and cooked eight pounds of russet potatoes. When they were cooked, Irish riced them (“I feel so Norwegian!” he said) and I set them out to cool. When I reached in my bag for my copy of the 1984 American Lutheran Church cookbook (published in my hometown of Jasper, Minnesota) for my cherished lefse recipe – replete with hand-written side notes of advice from my aunts – instead I dug out…the Trinity Lutheran Church cookbook. The thought of using cream instead of half and half and a bit more butter intrigued me, so I mixed my first batch with a third-cup of cream and a wee bit of milk and a half-cup of butter. The dough felt good in my hands and so I made a round and put it on the griddle. It smelled right. It looked right. I let it cool for a bit and then spread some butter and sprinkled some sugar on it. The second I took a bite, I was 10 years old, eating my grandma’s lefse at the Thanksgiving table. It was like I uncovered the secret to her lefse. 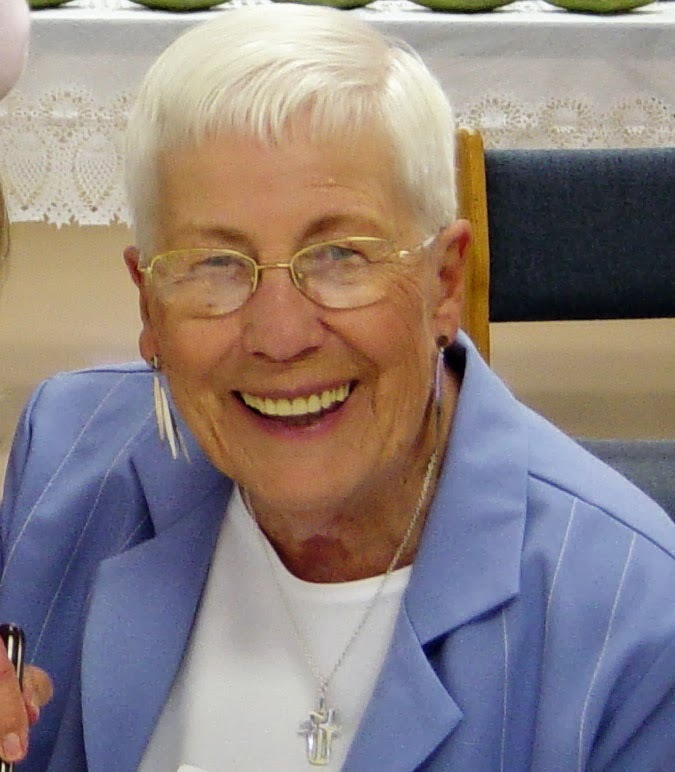 Ethel passed away Nov. 10. And if my lefse is any indication, she met up with Katinka, gave her mymessage, and they paid me a visit on Tuesday. I made my best lefse yet because I had the best teachers watching over me. Lefse isn’t just food. It is a thread that ties my family together. It is a reminder of holidays past, of our culture and heritage, our faith, and our ritual. I am honored to continue this tradition, and one day I hope to teach it to one or more of my grandchildren. Perhaps one day, when they’re flying solo and panicking that they won’t make it right, I’ll join my aunt and my grandmother and together, we’ll make sure it comes out right. This entry was posted in Family on November 29, 2013 by Lynn Haraldson. Really lovely, Lynn. Happy Thanksgiving. Being a Minnesotan, I am familiar with all things lefse! Loved it! You rock bff sis nlaw …love you! That's wonderful blog post. 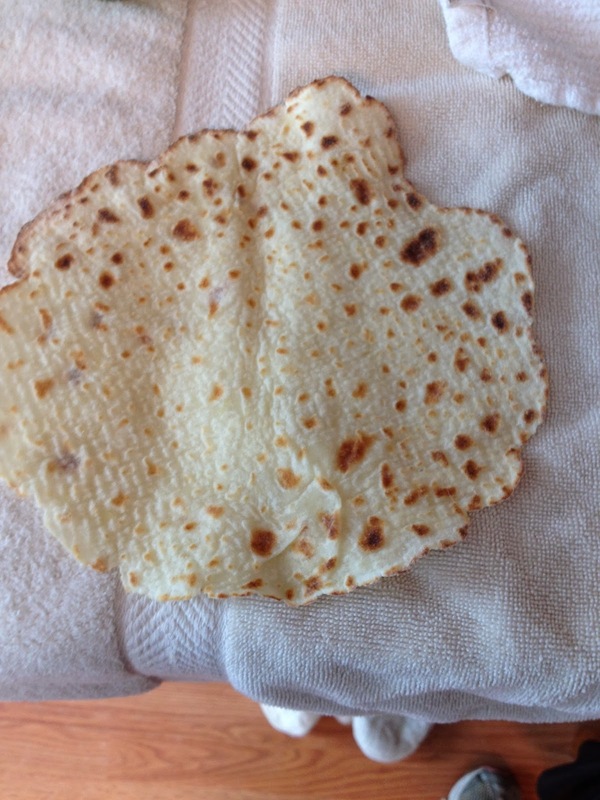 I didn't know about lefse before coming to this blog. I just now read this story about your grandmother, aunt and you making lefse. It is a wonderful holiday tradition and it is a very touching story! Thank you for sharing it.